The site is designed using wordpress as it’s content management system. This site also has a gallery. 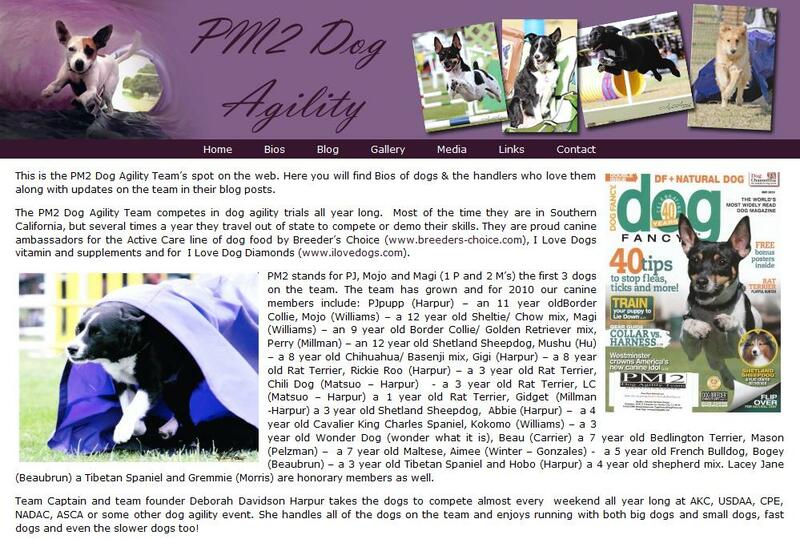 Images belong to PM 2 Dog Agility, manipulated by Nimh Designs with permission. Website – No Longer online.